Oct. 13, 2017 - A new report sheds light on North Korea's shadowy role in the illegal wildlife trade. 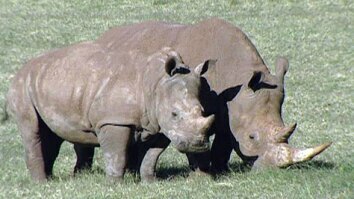 In the past 30 years there have been at least 18 instances involving North Korean diplomats trafficking rhino horn and ivory. Animal welfare groups say the diplomats often exploit misperceptions around their diplomatic immunity to smuggle illegal animal goods through airports. Investigative journalist Julian Rademeyer and cameraman Phillip Hattingh try to question North Korean officials at their embassy in Pretoria, South Africa. 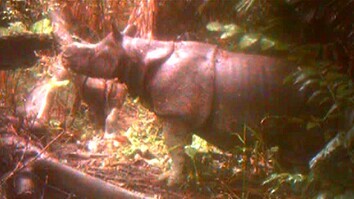 North Korea likely plays a smaller role than other countries, but they all contribute to the more than 7,100 rhinos that have been killed by poachers in Africa over the past decade. 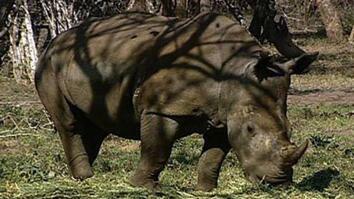 Click here to read North Korea Diplomats Accused of Smuggling Ivory and Rhino Horn.